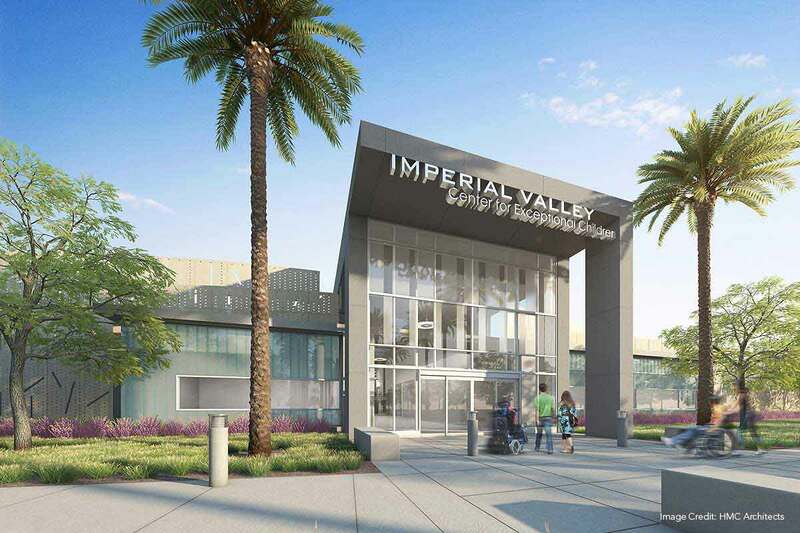 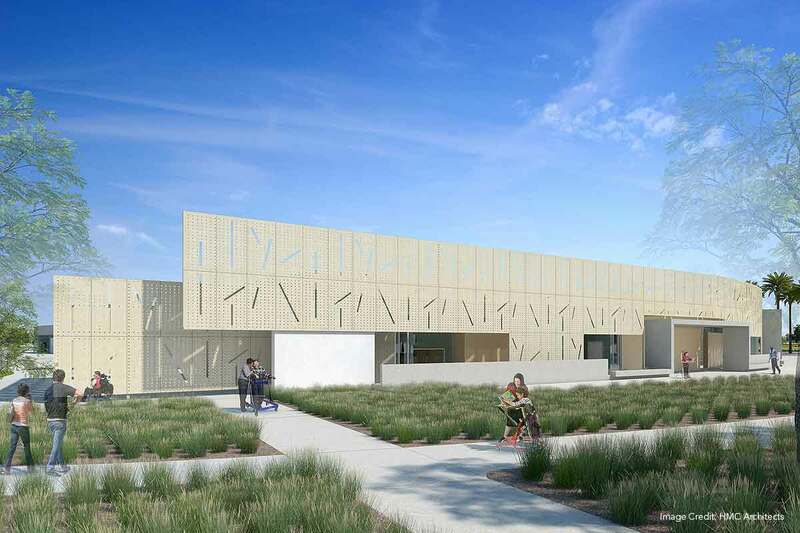 landLAB collaborated with HMC Architects, and the Imperial County Office of Education on the new Imperial Valley Center for Exceptional Children, in El Centro California. 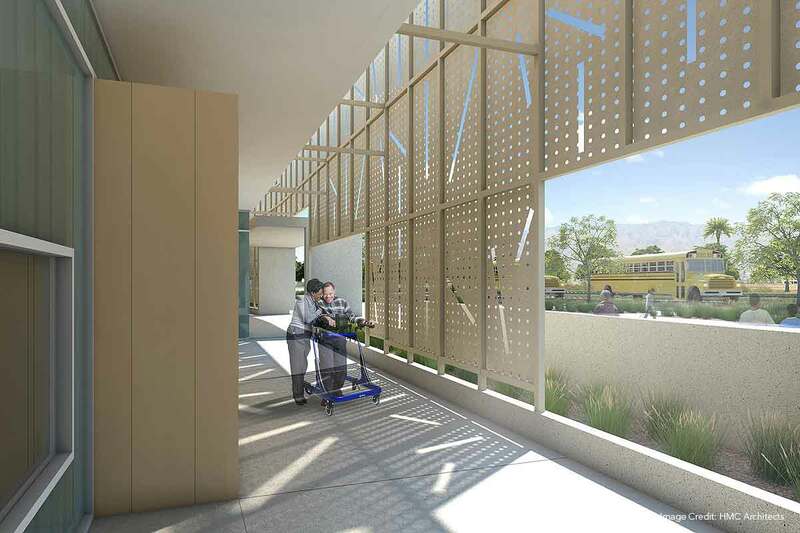 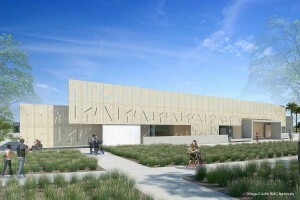 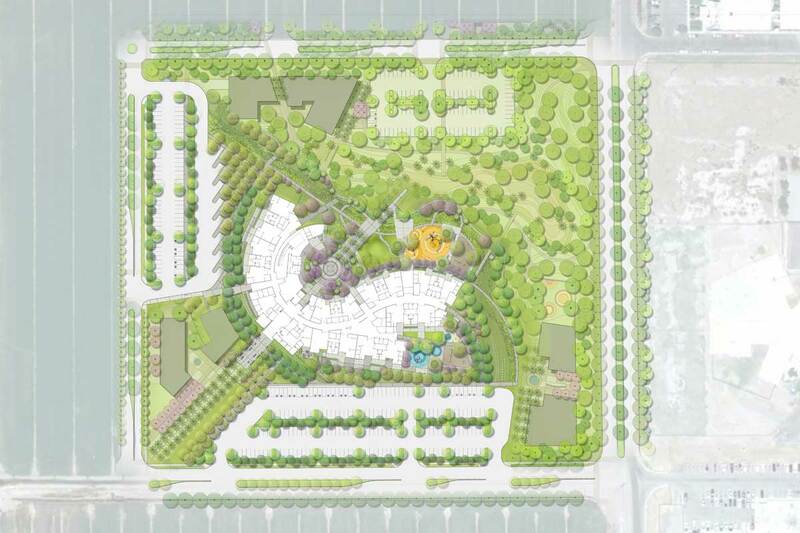 The new facility (designed for severely handicapped children) is the first building to be constructed as part of the master plan for the new educational campus. 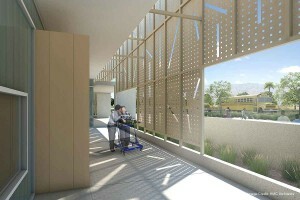 The building’s main entry doors are centered on-axis with Mount Signal; distant views to this recognizable landmark will provide guidance in orienting users of the building. 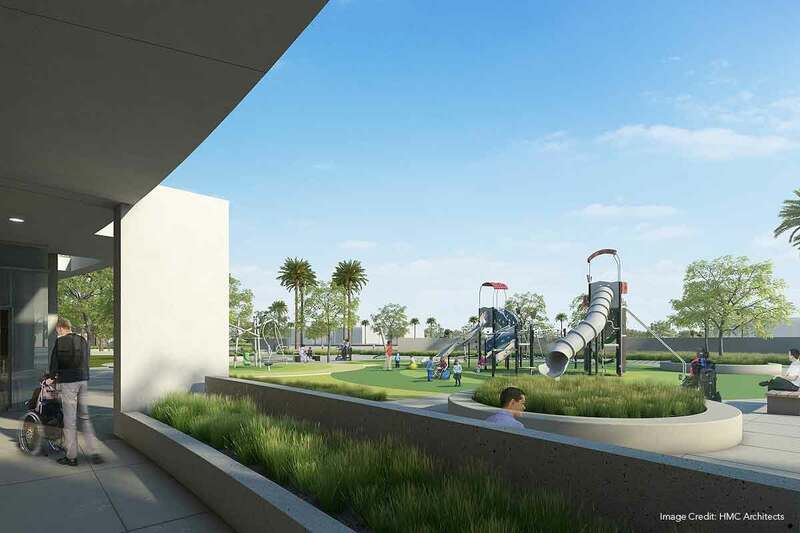 Outdoor play spaces have been designed with focus on the specific program requirements for children with varying degrees of Autism and Muscular dystrophy: specific play spaces work to develop both gross and fine motor skills and include variety of healing/ sensory gardens. The landscape design and site planning are informed by sustainable design principals such as; reducing the heat Island Effect, courtyards have been made accessible for all users, by providing additional seating, and outdoor spaces for school performances and gatherings.